Customizable background color, image and video (indepedent from the currently-applied theme). 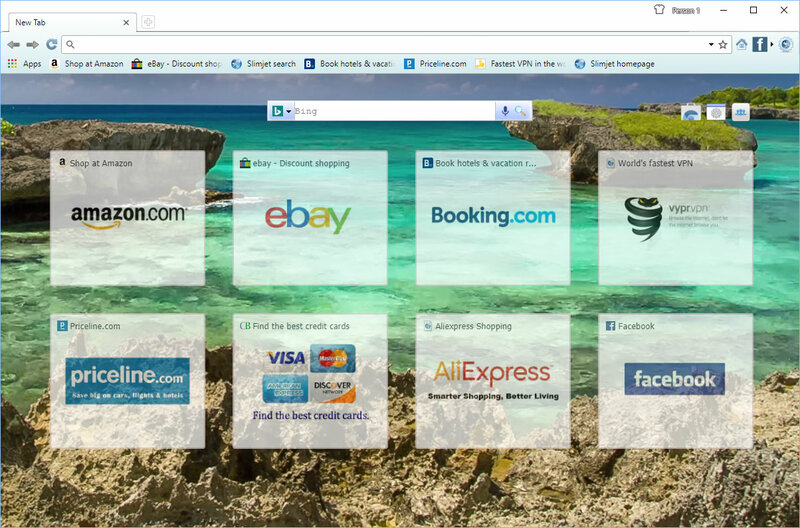 Here is a screenshot of the New Tab page with background video enabled. 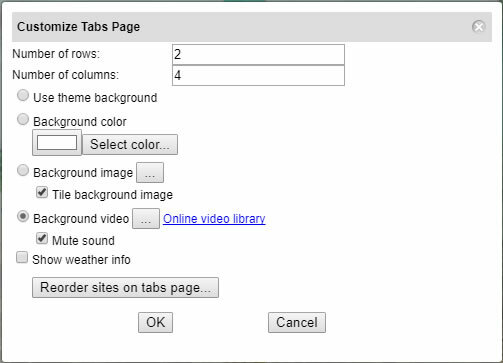 A large online video library is available for users to choose their own favorite background videos with beautiful scenery. I would have thought that one could rearrange the tiles just by dragging one to another location or row. I find that impossible and for the life of me I can't understand why that isn't something available here. Pages that I created first remain first, even if my tastes change and I'd like to set different pages as the first ones on the top row... a simple "edit" button, making all tiles "float" so they could be rearranged would be really nice to see here.